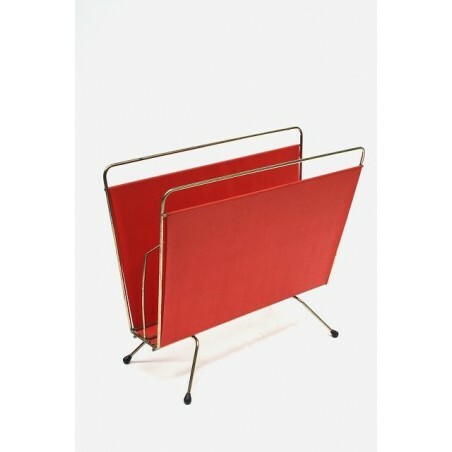 Vintage magazine rack made of metal in the color brass and orange / red. The magazine rack is in a fairly good condition. 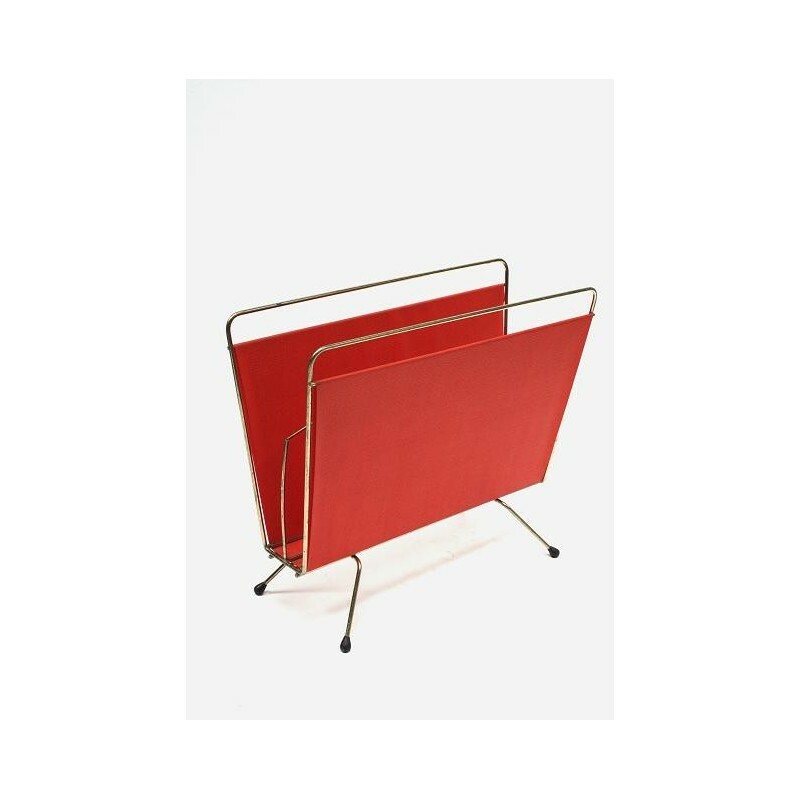 The size is 44 cm L / 35.5 cm H.